A much reduced covering of snow, shorter winter season and thawing tundra: The effects of climate change in the Arctic are already here. And the changes are taking place significantly faster than previously thought. This is what emerges from a new research report on the Arctic, presented in Copenhagen this week. Margareta Johansson, from Lund University, is one of the researchers behind the report. Together with Terry Callaghan, a researcher at the Royal Swedish Academy of Sciences, Margareta is the editor of the two chapters on snow and permafrost. "The changes we see are dramatic. And they are not coincidental. The trends are unequivocal and deviate from the norm when compared with a longer term perspective," she says. The Arctic is one of the parts of the globe that is warming up fastest today. Measurements of air temperature show that the most recent five-year period has been the warmest since 1880, when monitoring began. Other data, from tree rings among other things, show that the summer temperatures over the last decades have been the highest in 2000 years. As a consequence, the snow cover in May and June has decreased by close to 20 per cent. The winter season has also become almost two weeks shorter -- in just a few decades. In addition, the temperature in the permafrost has increased by between half a degree and two degrees. "There is no indication that the permafrost will not continue to thaw," says Margareta Johansson. Large quantities of carbon are stored in the permafrost. "Our data shows that there is significantly more than previously thought. There is approximately double the amount of carbon in the permafrost as there is in the atmosphere today," says Margareta Johansson. The carbon comes from organic material which was "deep frozen" in the ground during the last ice age. As long as the ground is frozen, the carbon remains stable. But as the permafrost thaws there is a risk that carbon dioxide and methane, a greenhouse gas more than 20 times more powerful than carbon dioxide, will be released, which could increase global warming. "But it is also possible that the vegetation which will be able to grow when the ground thaws will absorb the carbon dioxide. We still know very little about this. With the knowledge we have today we cannot say for sure whether the thawing tundra will absorb or produce more greenhouse gases in the future," says Margareta Johansson. Effects of this type, so-called feedback effects, are of major significance for how extensive global warming will be in the future. Margareta Johansson and her colleagues present nine different feedback effects in their report. One of the most important right now is the reduction of the Arctic's albedo. The decrease in the snow- and ice-covered surfaces means that less solar radiation is reflected back out into the atmosphere. It is absorbed instead, with temperatures rising as a result. Thus the Arctic has entered a stage where it is itself reinforcing climate change. The future does not look brighter. Climate models show that temperatures will rise by a further 3 to 7 degrees. In Canada, the uppermost metres of permafrost will thaw on approximately one fifth of the surface currently covered by permafrost. The equivalent figure for Alaska is 57 per cent. The length of the winter season and the snow coverage in the Arctic will continue to decrease and the glaciers in the area will probably lose between 10 and 30 per cent of their total mass. All this within this century and with grave consequences for the ecosystems, existing infrastructure and human living conditions. New estimates also show that by 2100, the sea level will have risen by between 0.9 and 1.6 metres, which is approximately twice the increase predicted by the UN's panel on climate change, IPCC, in its 2007 report. This is largely due to the rapid melting of the Arctic icecap. 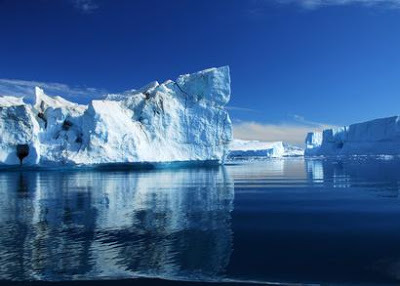 Between 2003 and 2008, the melting of the Arctic icecap accounted for 40 per cent of the global rise in sea level. "It is clear that great changes are at hand. It is all happening in the Arctic right now. And what is happening there affects us all," says Margareta Johansson. The report "Impacts of climate change on snow, water, ice and permafrost in the Arctic" has been compiled by close to 200 polar researchers. It is the most comprehensive synthesis of knowledge about the Arctic that has been presented in the last six years. The work was organised by the Arctic Council's working group for environmental monitoring (the Arctic Monitoring and Assessment Programme) and will serve as the basis for the IPCC's fifth report, which is expected to be ready by 2014. Besides Margareta Johansson, Torben Christensen from Lund University also took part in the work.